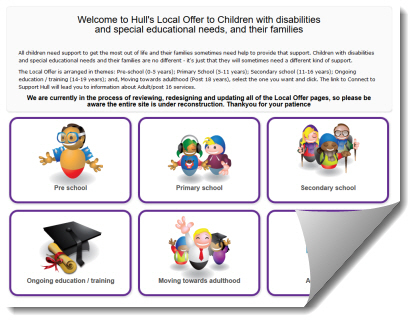 In Hull there’s lots of support available to children with disabilities and special educational needs, and their families. You’ll find information about that Local Offer of support here. Whether it relates to education, health, social care or parental support, and regardless of who’s providing it, we’ll aim to point you in the right direction. Click on the link below to view our SEND report.